For Php40 for two cheese burgers? Will they be good? 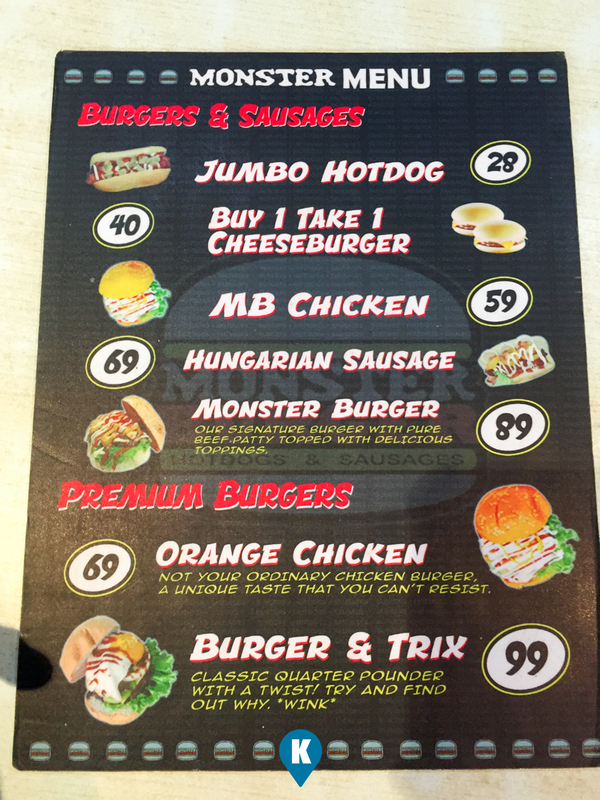 Let's try them out only here are Monster Burger. 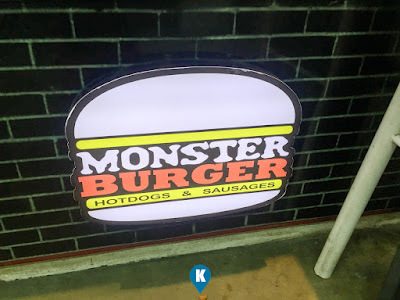 During one our grocery shopping sprees, we found one Monster Burger just right after the cashiers of Super 8 San Pedro branch. 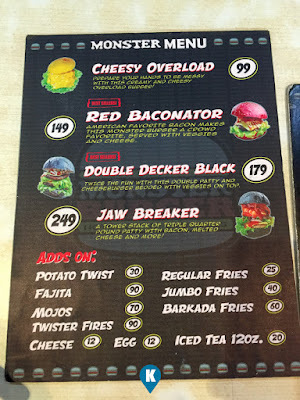 Now upon quick research, Monster Burger already has a following with their huge burgers that cost Php249 for a Jawbreaker. For our review, we held our own and started with the cheapest one on their menu, the buy one take one Cheeseburger for Php40. Now we ordered take out for the whole family and we are a family of 5 plus one grandparent. 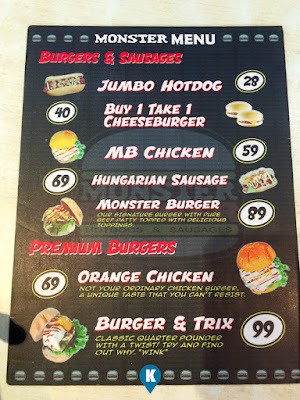 So we ordered 6 and the lady at the counter had to confirm, are we getting a total of six burgers or a total of 12. We liked having the 12 so she got right to work. 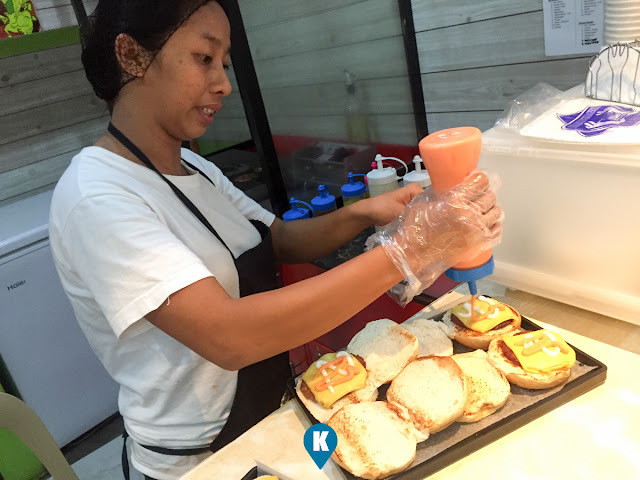 Now service wise, its not easy preparing 12 burgers total. There were some customers after us who did not order upon seeing the number of burgers on the griller. Anyway we commend the lady who prepared our order. She was fast as she can ever be. She was a bit overwhelmed with us that we found her wondering why there was an extra patty on the griller. She forgot to place that one in one of the burgers. Good thing she did not pack the burgers just yet. We pointed out the missing patty in one of the open burgers still to be packed. Funny. Serving wise. 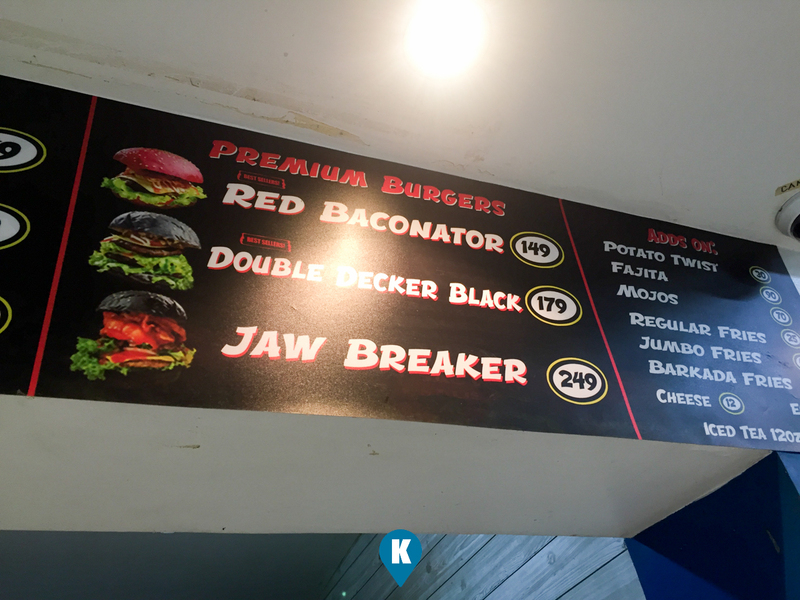 Now for Php40 you don't expect a huge burger. 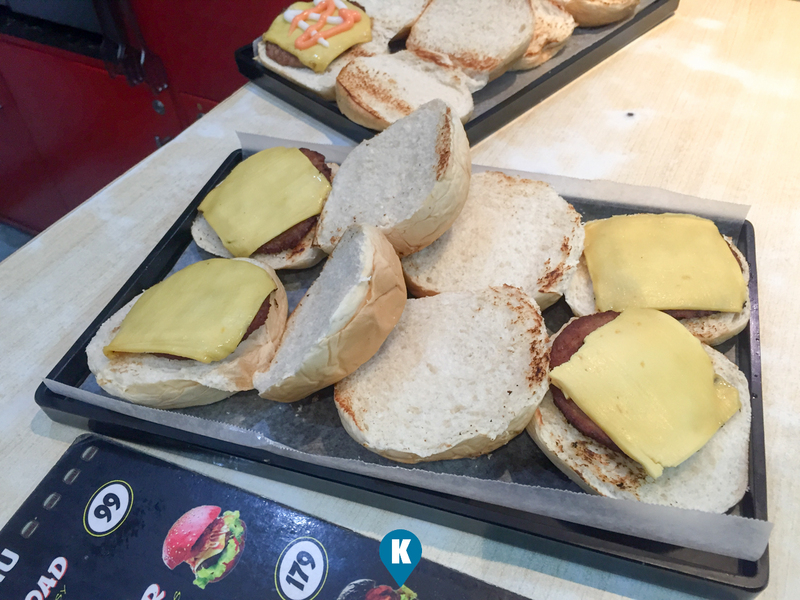 It's been our notion that buy one take one burgers usually are small ones and you will still be hungry after. 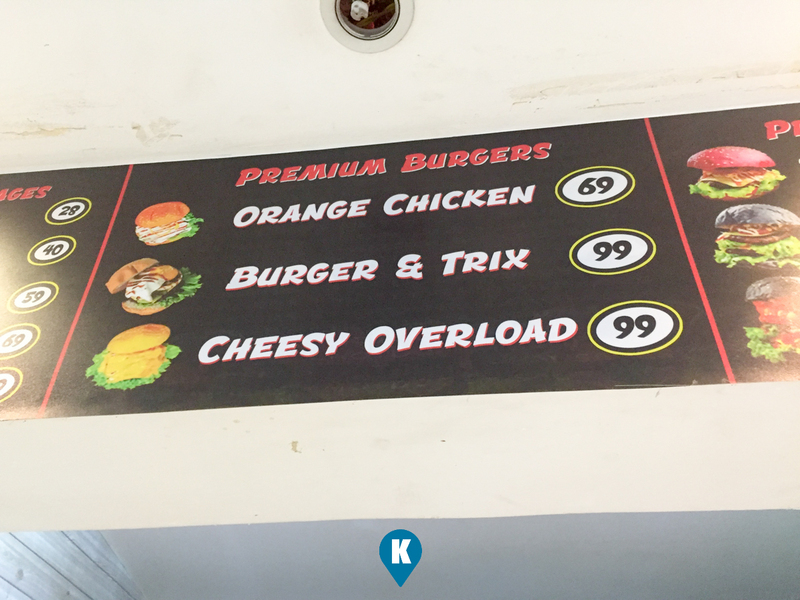 With their burgers however, they were a bit larger than the ones in our minds. So having one burger will tide you over a bit and the plus one? You can eat it later. Taste wise. Surprisingly it tastes like the cheeseburger from a world renowned burger chain. Patty might be thin if you are picky about it but flavors explode in your mouth everytime you take a bite. I didn't expect it to be so, but it does. 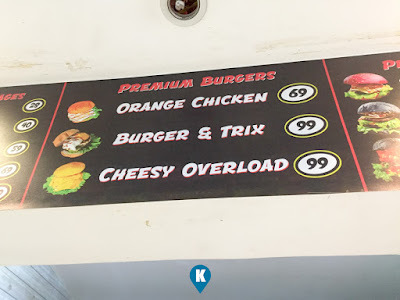 Price wise. Php40 its right within your budget for sure. For the price you don't get only one but you get two burgers for Php40. Wow. Do I have to explain more?